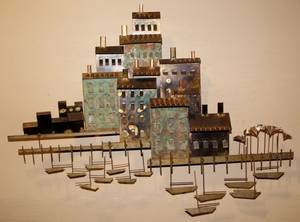 Depicting an architectural view of houses in a stylized landscape. 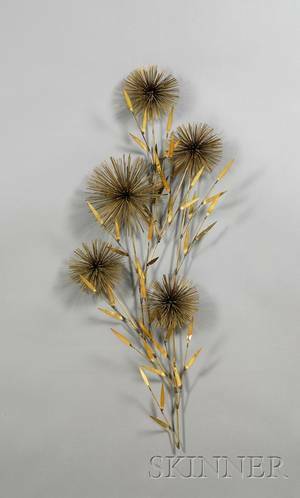 Signed and dated on verso "C. Jere 71". 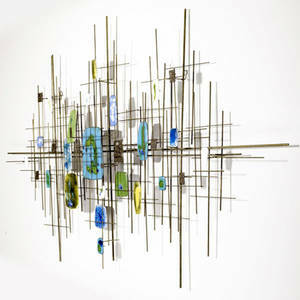 31"H x 42"W. Provenance: A fine Atlanta Estate. 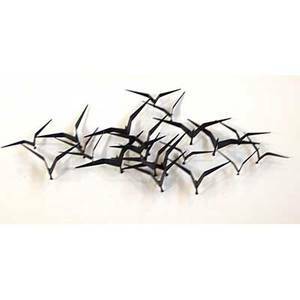 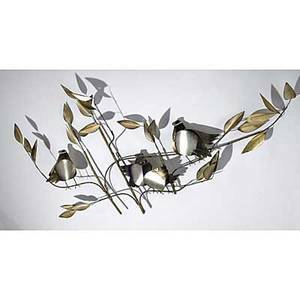 Curtis jere; wall sculpture of birds in flight in black enamel; signed c. jere; 20" x 60"
Curtis jere; wall sculpture, birds on foliage; signed c. jere; 28" x 54" x 6 1/2"
Curtis jere; wall sculpture, flock of birds; signed c. jere; 24" x 58" x 8 1/2"
Style of curtis jere wall sculpture with steel rods and attached enameled copper panels with brass and copper details. 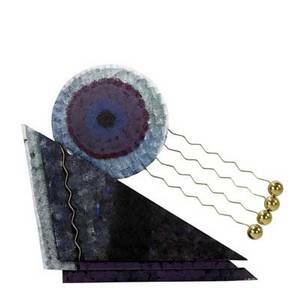 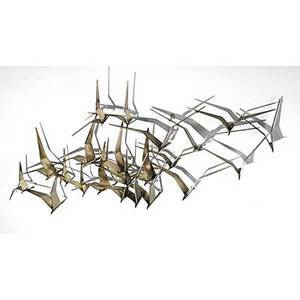 37 1/4" x 57 1/4"
Curtis jere wall sculpture in brass and painted steel, 1992. signed and dated with copyright. 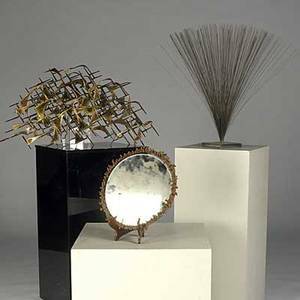 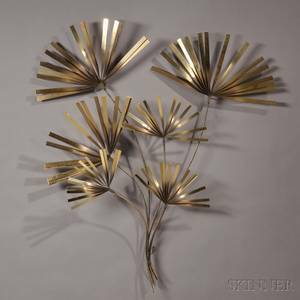 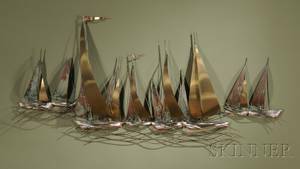 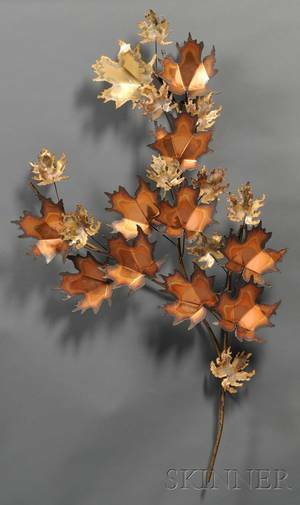 36" x 42"
Sculpture group; wall sculpture in the style of curtis jere, spray sculpture in the style of harry bertoia and mirrored copper tray; wall sculpture: 29 1/2" x 40"